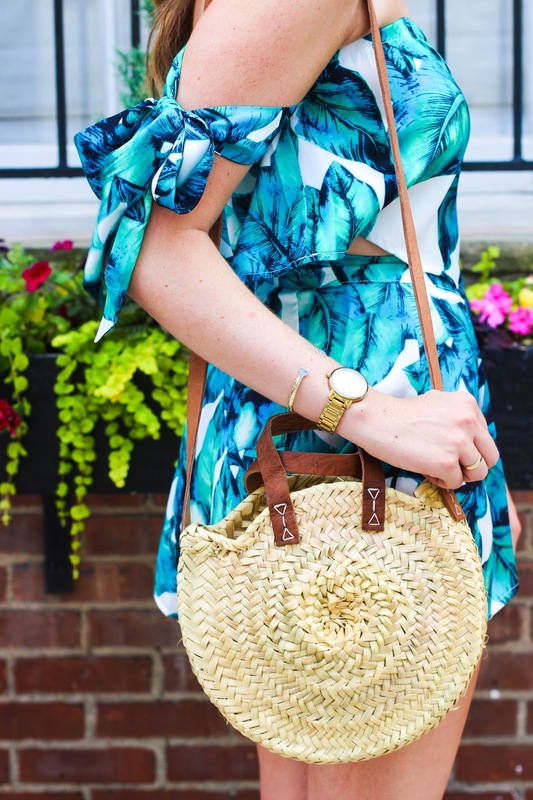 I've officially found my new favorite summer outfit! This two piece set from Tobi.com is so colorful, flattering and trendy –how could anyone not love it?! What's great is you could dress it down with espadrilles, like I did here, or dress them up with a pair of lace up heels and statement earrings! This set runs somewhat true to size. I am usually a medium and got a medium and found that the bottoms were borderline too tight on me. I probably would have been fine with a large, too! I love your shoes. I keep seeing Soludos on blogs. They're adorable.